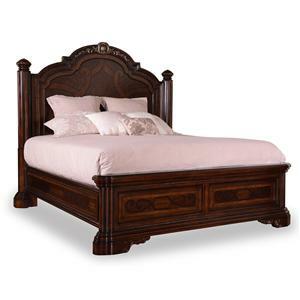 This Traditional Panel Bed will bring a classic, elegant look to your home. 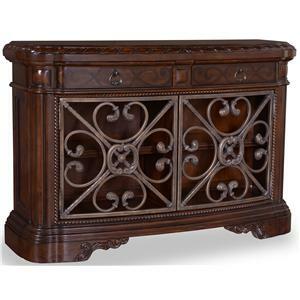 Made from radiata hardwood solids and white oak, walnut and pine veneers this piece is exquisitely detailed. 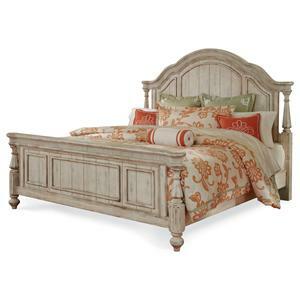 The headboard features a refined nail head trim and hand carved details. With the addition of this bed you can complete a sophisticated master bedroom. 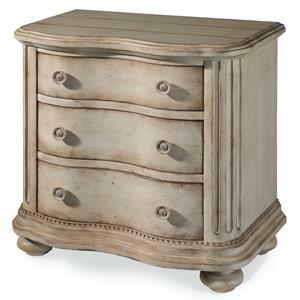 A classic silhouette with a relaxed, weathered finish make this nightstand with three drawers a stylish addition to your bedside. The serpentine curved shape with plank-style top, bun feet, dentil molding, and stepped base molding offer the elegant design you'll love. 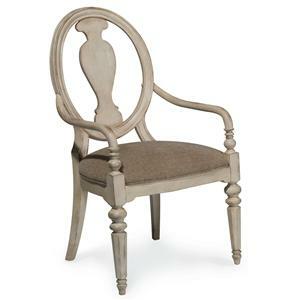 It is constructed with quality using radiata solids and pine veneers. For those who love having guests, this spacious dining table is a must. Design features include a dramatic starburst grey elm veneer pattern on top, a short grain veneer border and delicate maple inlay. 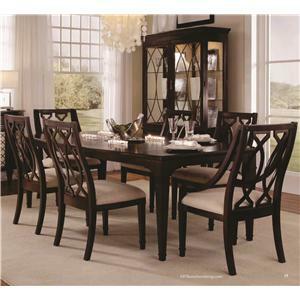 The warm cola finish exudes hospitality and welcome, while two 18-inch leaves expand the table to accommodate larger groups. The two accompanying arm chairs and four accompanying side chairs make a statement with carved wood backs featuring a dramatic double marquise pattern. This generously proportioned mirror, complete with breathtaking scalloped edging and carved shell motif, serves as the crowning touch to the coordinating triple dresser. Place atop the impossibly spacious nine drawer dresser for a polished dresser and mirror combination piece, or group with the equally stunning five drawer chest, drawer night stand and panel or upholstered sleigh bed for a cohesive and harmonious look. 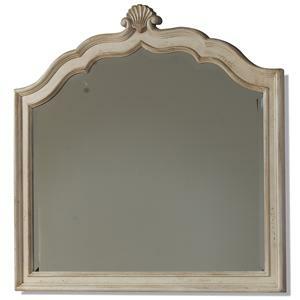 A soft Linen finish completes the antique appeal of this delicate dresser mirror. This innovative end table catches the eye with its bowed front and back and "V" matched elm top bordered by short grain veneer and slender maple inlay. The top flips up in the center revealing space for a laptop and a conveniently located power bar inside. 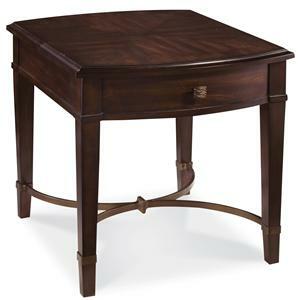 This stylish and functional accent table makes an up-to-date addition to your living room. This eloquently upholstered bed boasts a confident glamour in its warm style, making it a must have centerpiece in your master bedroom. In its pure simplicity, this bed has an exceptional timeless style with curved corners designed to give your room a soft-nature feel. 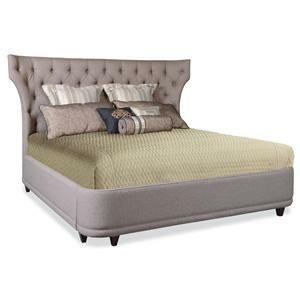 This headboard, a beautifully tailored button-tufted upholstery shown in a rich, warming nutmeg color, comes with softly-bowed corners meant to welcome-in comfort and a fresh style to your bedroom. 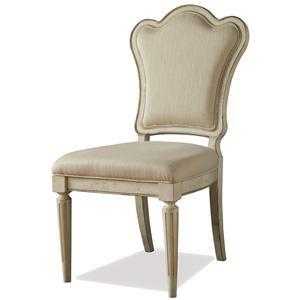 This elegant but simple oval splat back chair features octagonal turned front legs with bulb shapes at the top and foot on the bottom. The back legs share an artistic flare slightly and the goose neck arm adds a curved shape. It has a simple oval shape to give a more casual feel instead of traditional.